What will you haul in your Keystone Fuzion? With the Keystone Fuzion and its cargo space standards, the options are nearly endless when it comes to what you can haul. It features a large 8′ hinged spring-assist door/ramp that has a 3,000 lb. capacity and a wide ramp door opening that has eliminated the problem of scraping the chassis or exhaust of your beloved bike. The Fuzion cargo area also has an anti-slip, non-skid flooring on the ramp door to help you load your toys with ease. Fuzion will easily transport your prized cargo with ease. The waffle pattern steel frame garage floor offers an incredible amount of strength and durability. Tandem axle models offer a 10″ I-Beam while triple axle models offer a 12″ I-Beam. Using a 1″ seamless Dyna-span floor mounted to the steel waffle pattern design easily offers up to 2,500 lbs. of capacity in all garages. In conjunction with this structure, Fuzion welds multiple 2,500 lbs. capacity anchors points directly onto the steel frame for incredible security for your gear when tied down. Dual fuel tanks allow you to have separate fuel for your generator while reserving the ‘high octane, good stuff’ available for your toys. The retractable screen wall also comes in handy when you want to relax in the cargo area and enjoy the outdoors without the bugs. And with 81’ – 144’ square feet (dependent upon the floor-plan) you have plenty of space to haul your passions. Heading out to ride the Dragon on your bike? Camp in the Smoky Mountains, and ride the bike in some beautiful country. Going 4-wheeling for the weekend? No problem! The Fuzion can handle it. Traveling to a flea market to sell your crafts? It’s perfect for storage and transportation. Looking to kayak down the river? Just put your kayak in the back of the Fuzion and hit the road. We could keep going because with the Keystone Fuzion, you can reinvent your space. What would you haul in your Fuzion? Last week I posted some tips on how to best clean the interior of your RV, now we’re here to give you some tips on the best way to clean and care for the exterior of your camper. Taking the time to clean the exterior of your RV on a regular basis will allow you to notice any potential issues, such as leaks or siding damage. Use the time while making your unit shine to perform some preventative maintenance. Which will allow you to extend the life of your camper, while possibly easing the burden on your family budget. RV problems can be expensive to fix, if left go too long. First, we recommend that you clean it often and thoroughly to keep it looking shiny and new. The longer dirt and residue sits on the exterior of your RV, the more potential damage it can cause. Some elements that can be highly damaging to your RV’s exterior if not washed off are road salt, road tar, bugs, bird droppings, tree sap, acid rain and UV exposure. These can cause corrosion, staining and chemical spotting. Be sure to always wash your RV soon after it is exposed to any of these elements. An added bonus is if you regularly wax your RV which will help protect the exterior. We don’t recommend taking your RV through automatic car washes, doing it by hand, while time-consuming, is the best way to clean the exterior of your RV. Even if you allow your camper to be parked on a permanent site, regular cleaning will allow you to enjoy your RV for years to come. To clean the exterior of your RV, we suggest parking it in a place not in direct sunlight. First, spray it with water to remove dust. Next, using an abundant amount of clean water and a car-washing mitt/sponge and an RV washing brush, wash your RV from top to bottom. You can also use a mild car-washing soap. Be sure to rinse thoroughly and wipe dry with a soft cloth. Using extremely hot water and pressure can cause damage to the RV. Be sure to use caution and keep a pressure sprayer nozzle about 16 inches or more away from the RV. Also, use caution if you use a pressure sprayer around all attachments of the RV (doors, windows, appliance vents, etc.) When washing around glass with a pressure sprayer, hold the nozzle at right angles to the glass surface. A pressure sprayer used in properly can damage your RV, as well as force water into places where water should not be. We recommend that you wax your RV at the very least once a year, two times a year would be great. To wax, apply a small amount of wax to a soft cloth and rub gently onto the exterior of your RV. Do not wax your RV in direct sunlight and do it after surfaces have cooled. This will avoid the wax drying out quickly. Do not use waxes that contain high-abrasive compounds. These waxes will remove rust and stains but they are also harmful to the luster of the surface since they may scrape off the coating. Do not use gasoline or paint thinners to remove road tar or other contamination to the painted surface. Use only approved cleaners to remove stubborn stains or marks. In order to make your job easier when it comes to cleaning your new RV, consider having an exterior protection package, such as the Trident Exterior Protection System, applied to your RV before it even leaves the dealership. This will prolong the life of that ‘new’ look as well as protect your exterior from many of the items listed above. Best of all most applications, such as Trident, are warranted for several years. So why not help yourself protect your investment. There you have it, some tips on keeping the exterior of your RV nice and clean. If you have questions about cleaning the exterior of your RV, be sure to contact your local central Pennsylvania dealer or your manufacturer’s customer service department. Cleaning your RV, the ‘inside’ scoop. I have posted about keeping your RV clean before, but usually focus on the outside. However if you are like me and like to keep a clean house inside, below are some tips for the interior of your travel trailer or fifth wheel. Keeping your Recreational vehicle or camper clean will help extend the life of your unit, plus a regular cleaning will enable you to become familiar with areas of your RV, and acts a great preventative maintenance visual check. You could discover a small problem before it becomes a major one. So here with some helpful hints on cleaning the inside of your RV. First, it’s important to use the proper cleaning supplies and techniques to avoid damages that may happen to the interior surfaces of your RV. It’s always important to check with your manufacturer’s information for the recommended cleaning agents. Clean only as recommended. If you’re ever in doubt about a cleaning product and what it might do to your RV, be sure to first test a small area out of sight. And please, don’t ever use flammable liquids or sprays to clean your RV. So, now that the basics are out-of-the-way, we’ll break it down into areas of your RV interior. Furniture Upholstery: if your furniture is covered in fabric or suede and it becomes stained or dirty, it is recommended that the fabric be professionally cleaned. You can refer to the specific manufacturer’s instructions for more care options. For all vinyl covered furniture, water based cleaners are recommended, but not solvents as they may have an adverse reaction. Blot up the spot rather than rubbing to avoid saturating the area. Décor items: Occasionally use a vacuum with a soft brush attachment to dust things such as window treatments, curtains, blinds and shares. To help prevent mildew or mold on the shower curtain, clean it frequently. Décor glass can be cleaned with a glass cleaner to remove smudges. Be sure to take care around any etching that might exist on the glass. Hardware & Sink or Shower Fixtures: Use a mild dish soap and water to clean these fixtures. Avoid harsh chemicals or sprays. For hard water spots, a mild solution of vinegar and water works well. Paneling: Use a mild solution of soap and luke warm water with a soft sponge or cloth. Avoid abrasive cleaners as they could cause damage such as scratching or dullness. All-purpose spray cleaner works well for those stubborn dirt and grease spots. Harsh cleaners and organic solvents are not recommended because they can attack the vinyl. Cabinetry & Tables: Simply dust with a soft cloth dampened with cleaning polish or mild detergent solution to keep hardwood doors, cabinet fronts and tables looking like new. Ammonia based products or silicone oils may cause damage if used over a long period of time so avoid using those types of products. Promptly wipe up spills to avoid potential problems. Counter-tops: Avoid harsh chemicals such as drain cleaners, oven cleaners, etc. and do not let cleaners with bleach set on the top. Wipe those off immediately. For laminate counter-tops stubborn stains can be removed with a general-purpose spray cleaner. For solid surface counter tops soapy water, ammonia based cleaners or commercially available solid surface cleaners will remove most dirt and residue from all types of finishes. A damp cloth followed by a dry towel will remove watermarks. Flooring: For carpet, be sure to vacuum regularly to avoid stains. If you have tough and deep stains, have them professionally steam cleaned. Spot removers can be used for minor spills. Always test the carpet for color fastness in an inconspicuous area before using any product. For vinyl flooring, it is good to periodically vacuum or sweep. Spills are easier to clean if wiped up before they set. Blotting with a paper towel should work. To clean more deeply, use a damp mop with water and a mild cleaner. Do not soak the flooring. Use care to avoid wetting the carpet edges. Also, don’t use cleaners that contain oil based solvents to avoid yellowing linoleum. There you have it, some basic cleaning guidelines for the inside of your RV. 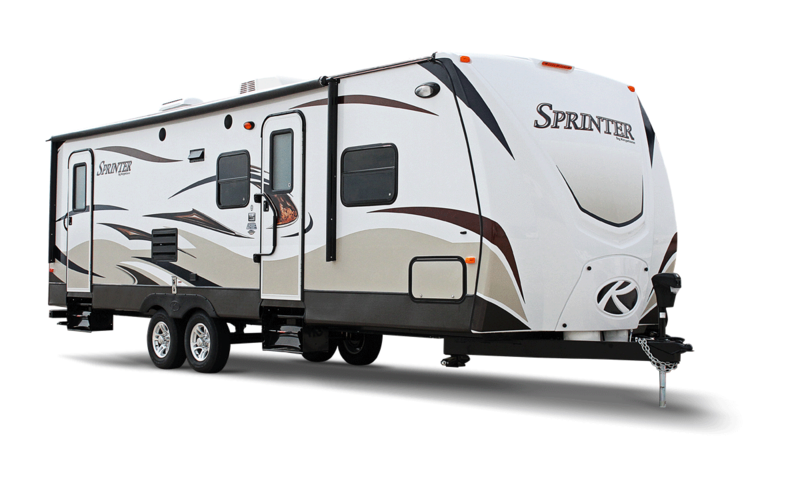 As always, if you have questions, please contact your central Pennsylvania RV Dealer or your trailer’s manufacturer. A lot of time and effort can go into planning an RV, camping trip or even a day trip in the car. You must decide where you want to go, what to do when you get there, what to eat, and how much it will cost. Speaking of cost. Wouldn’t it be nice if it didn’t cost so much? After food, fuel, and gear, you can still expect extra fees when you reach your destination. However, in the year of 2012, the National Park Service (NPS) is waiving entrance fees, commercial tour fees, and transportation entrance fees at over one hundred National Parks in an effort to boost tourism. You may still have to pay for reservations, camping, and use of concessions, but hey, if you’re interested in paying less for your family vacation, read on. The program began in April with National Park Week, an entire week of free admission to National Parks across the country. But do not worry if you missed this great week of free admissions, mid summer offers Get Outdoors Day and in early September NPS grants free admission for National Public Lands Day. Finally, the NPS offers free dates for Veterans Day Weekend in November. I would like to encourage you to take advantage of this offer as I have in the past. It is a great way to see some beautiful areas of our great nation at a reduced cost. Regardless if you are towing your RV or just taking a day trip by car. Gas up and go!